First there was my DIY bath bomb tutorial with lemon juice. And now it’s time to share a tutorial for DIY bath bombs with cream of tartar. Made with yet another kitchen favorite, these DIY bath bombs with cream of tartar are easy and quick to create. Most of the bath bomb tutorials out there call for citric acid. When you combine citric acid with baking soda and drop it into a large amount of water, it will cause the fizzing reaction bath bombs are known and loved for. But you don’t necessarily need to buy a 5 pound bag of citric acid powder if you want to try your hands on making your own bath bombs. You can just as easily find the supplies in your kitchen! I buy citric acid IN BULK. So when I made these DIY bath bombs with cream of tartar it was my first time ever using cream of tartar instead of my beloved citric acid. When you mix the ingredients, the bath bomb mixture looks very similar to a regular mixture with citric acid. So does the end result once the bath bombs have dried. You don’t have to add corn starch to this mixture to stop them from fizzing prematurely. This also means that if you don’t color the bath bombs they will have a very crisp white color. Kind of like they’re coming straight out of a laundry detergent commercial. I’m just gonna come out and say it: this mixture doesn’t fizz as “enthusiastically” as citric acid. There’s fizzing when you drop it into water, without a doubt. But it looks more like lots of tiny little water bubbles are forming. It’s an entirely different effect and you might even like it in its own way! The mixture will slowly dissolve into little flakes and release the lovely scent of the essential oils and the color in the water. So all in all it does the job. There are different reasons as to why you would choose one recipe over the other. 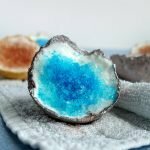 I love my DIY Bath Bombs with lemon juice as it’s an easy kid friendly craft that pretty much anyone can make at any time. If you want an upgrade but only want to work with ingredients from your kitchen, this bath bomb tutorial you’re reading right now is ideal for you. If it’s the classic bath bomb effect you’re after, go for a citric acid recipe like my DIY Bath Bombs with Epsom salt. Nothing beats citric acid when it comes to crafting bath bombs. If you want to sell bath bombs or want to impress your friends and family with a bath bomb that looks like it’s straight from LUSH, I do recommend investing in some citric acid. It’s the best, seriously. These easy DIY bath bombs with cream of tartar are perfect if you’re looking for a quick gift idea. I’ve been planning to post this tutorial since forever, and with Mother’s Day coming up I figured this would be the perfect time to share my DIY bath bombs with cream of tartar! To make the bath bombs look extra special, I added some dried flowers to the mixture and on top. I also colored them in different pretty colors to make them look extra pretty and to turn my bath water a lovely color once I’m ready to use them! 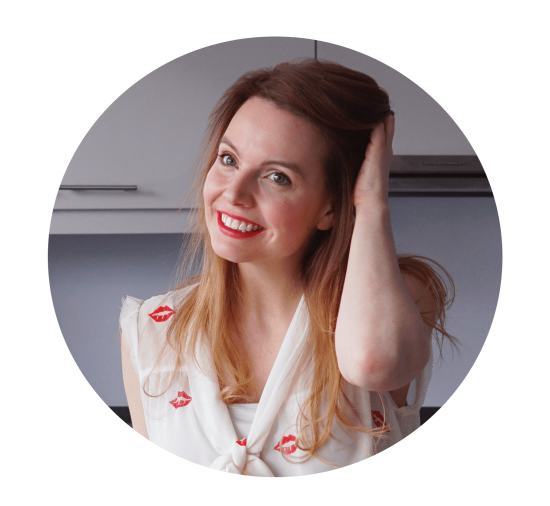 Liz from How to Look Pretty asked me if I’d be interested in trying out their dried edible flowers kit. They seemed perfect for this tutorial, so of course I said yes! The dried flowers arrived in the cutest cardboard box (really, I can’t get over how beautiful the box is). Inside the box I found a card with a download link for a free bonus guide (hooray!) and a promocode for my next purchase (double hooray!). And of course I also found 6 packets of different dried flowers, nicely packaged in sealed foil bags. 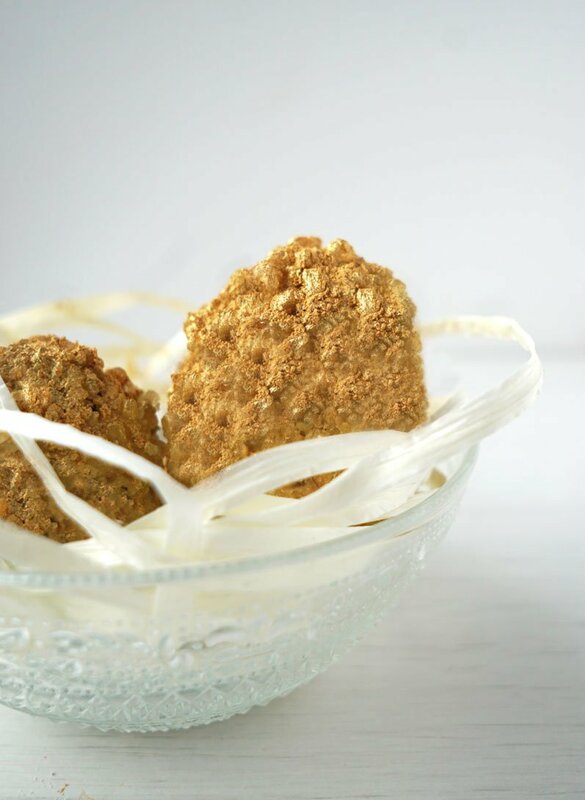 They are 100 % natural, cruelty free, vegan and have no additives or preservatives added to them. All 6 of these dried flowers are perfect to use as decorations for a bath bomb! The benefits I mention below are all listed by How to look Pretty. 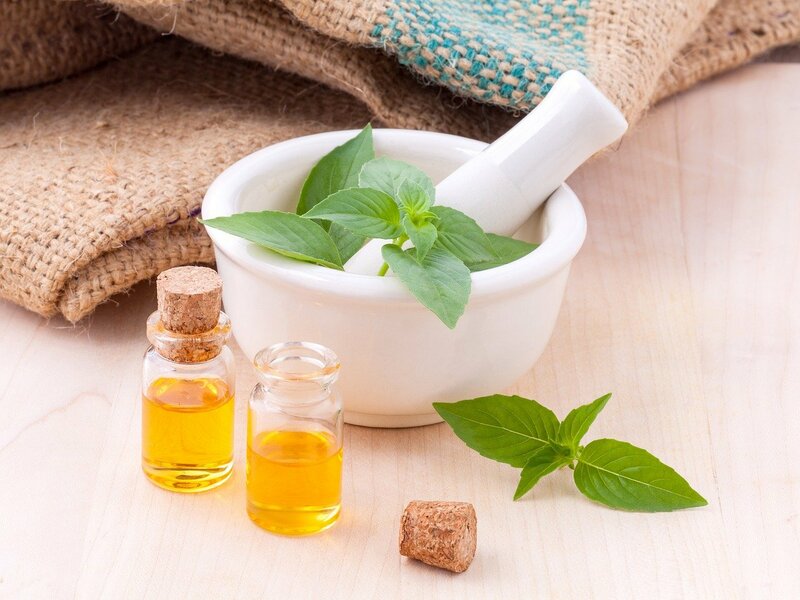 – relieves nervous tension and pain, great for a relaxing bath! – Love them in my Gin and Tonic ? Not something you’d typically use in a bath product, but perfect for example in my DIY hidden black bath bombs. This is the dried flower you see in the hot pink bath bomb at the top of this post! My favorite part about these is probably their name. They’re a great idea to use in a teacher appreciation gift or for a friend or family member who’s moving away! 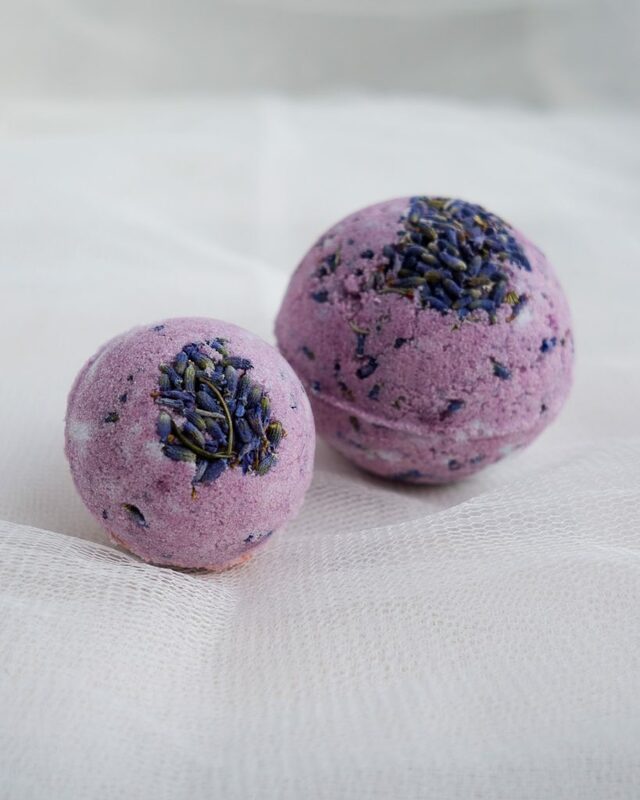 I decided to try out the rose buds, lavender and globe amaranth dried flowers in this DIY bath bombs with cream of tartar recipe, along side with their liquid soap dye kit I reviewed earlier in my DIY hidden rainbow bath bomb tutorial. This recipe makes about 3 medium sized bath bombs (I could make a few more cute little ones with the leftover mixture). Combine the baking soda and cream of tartar in a mixing bowl. Stir to combine. If you want your bath bombs to look like mine, divide the mixture over 3 mixing bowls. Add a few drops of essential oil to each batch. I decided to use a different kind of flower, color and essential oil for each batch. I diluted a few drops of the liquid coloring in one teaspoon of rubbing alcohol. You can also use witch hazel if you prefer. Carefully add the liquid with the coloring to the batch. Stir well to make sure the mixture doesn’t start to fizz. Keep stirring until the mixture is colored evenly. Check to see if the mixture is ready by taking some in the palm of your hand and squeezing your fingers together. If the mixture clumps together like damp sand it’s ready. If it doesn’t, add a little more liquid until it does. I also added about a tablespoon of dried flowers to each batch. Place a few dried flowers at the bottom of your bath bomb molds. Scoop some mixture into both sides and press down. 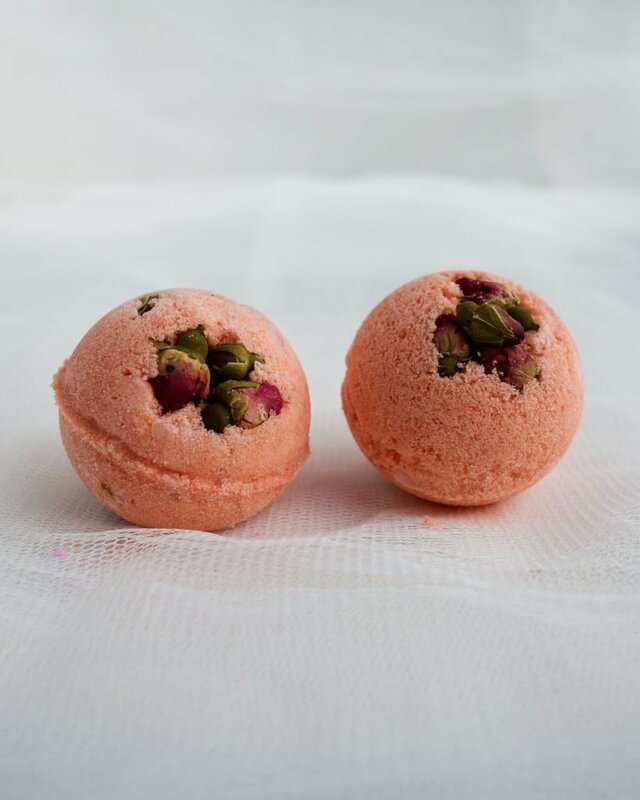 Keep scooping until the bath bombs are overflowing. Push both sides together and set these DIY bath bombs with cream of tartar aside to harden. You can tie an elastic band around them to make sure they stay put. I like to leave them to dry overnight. Open the mold the next day and reveal your beautiful bath bomb! Enjoy! Oh, and Happy Mother’s Day! Follow this easy step by step tutorial to make your own bath bombs with a kitchen favorite: cream of tartar. This recipe is made WITHOUT CITRIC ACID or lemon juice. Combine the baking soda and cream of tartar in a mixing bowl. Stir to combine. Divide the mixture over 3 mixing bowls. Add a few drops of essential oil to each batch. I used a different kind of flower, color and essential oil for each batch. Dilute a few drops of liquid coloring in one teaspoon of rubbing alcohol or witch hazel. Carefully add the liquid with the coloring to the batch. Stir well to make sure the mixture doesn't start to fizz. Next, add about a tablespoon of dried flowers to each batch. Check to see if the mixture is ready by taking some in the palm of your hand and squeezing your fingers together. If the mixture clumps together like damp sand it's ready. If it doesn't, add a little more liquid until it does. Place a few dried flowers at the bottom of your bath bomb molds. Scoop some mixture into both sides and press down. Keep scooping until the bath bombs are overflowing. Push both sides together and set aside to harden. Let dry overnight. So grateful for your post! Thank you! Hi! You can try, but usually you also need some kind of liquid to really make it stick together. I’ve also noticed that when you add an oil the bath bombs will fizz less. You can also use water or rubbing alcohol for this!